What level of light intensity (lumens) do you need across a solar panel in order to obtain 15% energy efficiency? What level of light intensity (lumens) do you need across a solar panel in order to obtain an incident-light to energy-output efficiency of 15%? What level of light intensity (lumens) do you need across a solar panel in order to obtain an energy-output to incident-light efficiency of 15%? Accreditation A. Ibrahim, "Analysis of Electrical Characteristics of Photovoltaic Single Crystal Silicon Solar Cells at Outdoor Measurements," Smart Grid and Renewable Energy, Vol. 2 No. 2, 2011, pp. 169-175. doi: 10.4236/sgre.2011.22020. So, for the point of 15 % efficiency you need only provide about 900 W/m^2 - that corresponds to 90% of peak sun (with the panel flat-on to it). Well this is specific and related to human vision rather than how solar cells are normaly measured, but we can make a conversion for a ball-park figure assuming that your light source is spectrally similar to the sun. 900 W/m^2 approximatley corresponds to 614700 Lumens per square metre. 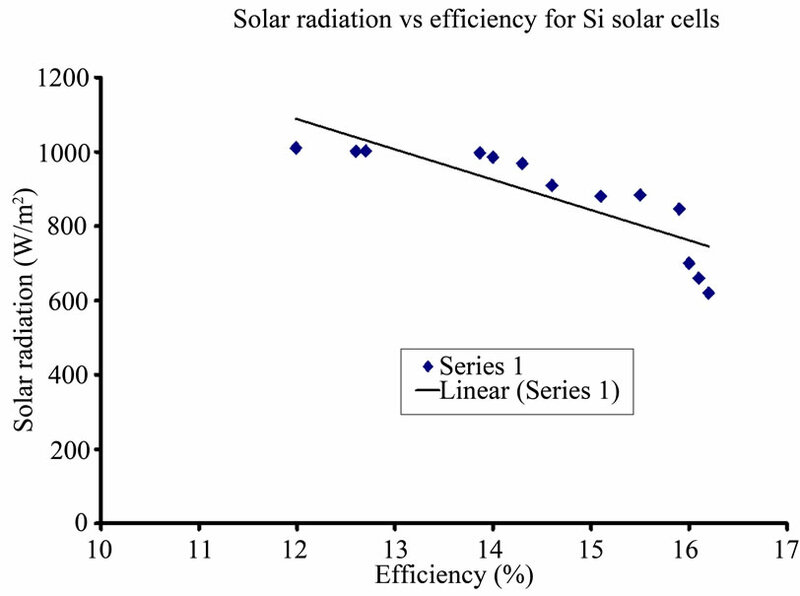 The averaged conversion efficiency of the solar cell recorded for a period of six month is approximately 5.4%. 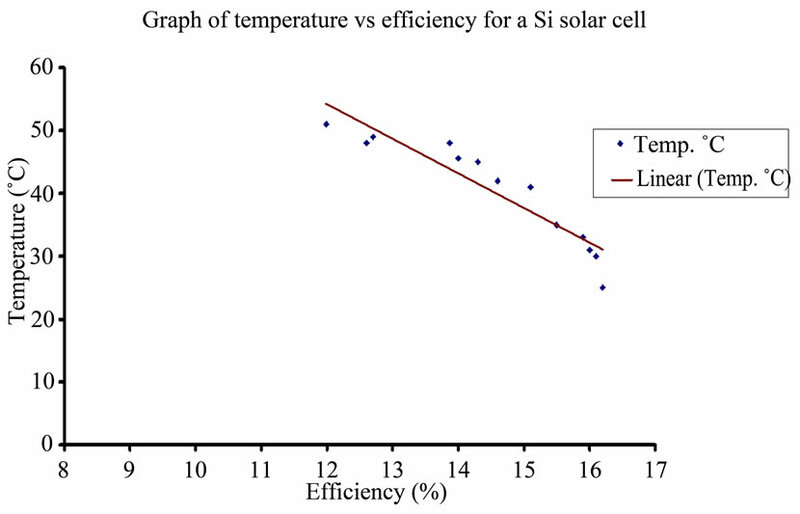 It is 54% less than the efficiency of the same cell measured at STC. Recognise the trend and measurement distribution points? This corresponds very closley to the Illuminance/efficiency graph. Another thing you should bare in mind is that manufacturers quoted ratings are taken from flash tests provided at 25 Celsius (room temp) under what's called STC, standard test conditions, but frequent variation in lamp spectra and type used for measurement lead to variable comparison between different brands - it's just not tightly regulated. An infra-red reflecting shield, and a heatsink to stop the thing overheating may be as important as the level of illuminance, when it comes to the panel's efficiency. Not the answer you're looking for? Browse other questions tagged energy-efficiency electricity-generation energy-management or ask your own question. What is the relationship between energy efficiency and sustainability? How to measure the energy output of a thermal solar hot water system? What are the incentives for energy companies promoting energy efficiency? Types and quantities of air pollutants by fuel, per kWh, for electricity generation? Domestic flywheel energy storage: how close are we?